One of my favorite parts of Holy Eucharist is the middle part of the service—the confession, absolution, and sharing of the peace. That special time invites God to heal our guilty hearts and minds. I wish I didn’t have a guilt-ridden soul, but I have a hard time letting go of the memories of hurting someone’s feelings or when I haven’t been the best mom or daughter or spouse or friend. This part of the service—when we bring our difficult memories and feelings to God’s heart—reminds me to pray for forgiveness, refreshes my understanding that that God truly and totally forgives me, and encourages me to forgive myself and others. Exchanging the peace after the confession and absolution is the first opportunity I have to act out of love, with a refreshed confidence in God’s grace and goodness toward me. Why do we need to ask for forgiveness since Jesus already died on the cross for us? What does asking for forgiveness mean to you? What do you think asking for forgiveness means to God? Make Amends: Is there someone you need to ask to forgive you? Find a way to connect with that person and do what you can to make the situation right. Commit your conversation to God, and pray for the right words to speak, and a soft heart to listen. Symbols of Forgiveness: Look up symbols that remind you of forgiveness—if you have a hard time coming up with a few of your own, Google it! Choose one to spend a little more time and thought with—you can paint, draw, cut out, or print the symbol of your choice to keep as a reminder to pray for and accept the gift of forgiveness. You may also want to offer this symbol to the person with whom you are making amends. Rejoice along with this lovely song—Jesus’ life and love is all about forgiveness. And that’s worth singing about! 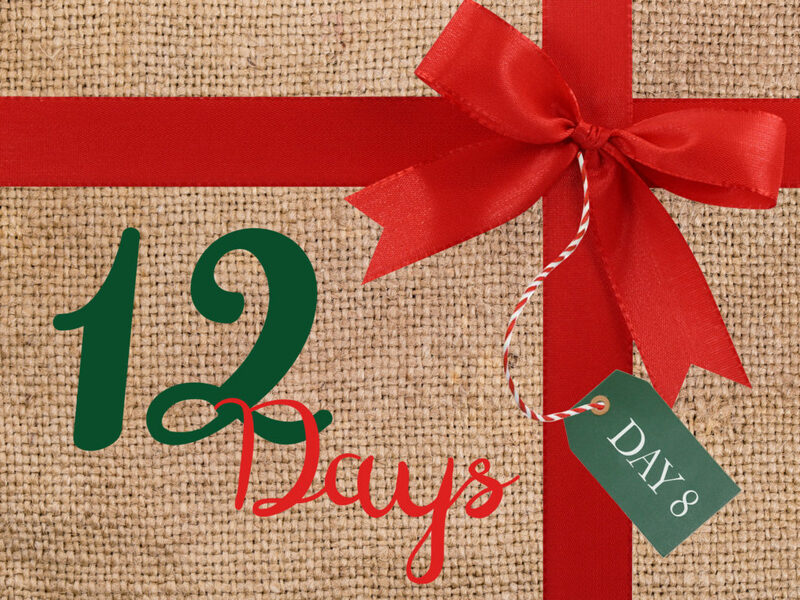 Sing along with the eight verses of our “12 Days of Christmas” song. Many passages in the New Testament talk about asking for forgiveness, forgiving others, and how Jesus provides a path for forgiveness with his grace. about yourself and the mistakes you make?